We continue with our M&A case studies on MBA Mondays. Last week we saw the impact VCs can have on your exit. This week we are going to look at the opposite situation: what happens if you’ve entirely bootstrapped your company. AVC community member @daryn introduced me to David Geller who, over ten years, bootstrapped, built, and sold an email company called WhatCounts. It’s a great story, but a bit long for one blog post. So we’ve cut it in two. This week, the events leading up to the sale. Next week, the sale itself. As always, the comments will be the most interesting part of this discussion. Make a point to stop by, check them out, ask a question, or answer one. Daryn Nakhuda, a friend, Fred Wilson groupie, former colleague and my co-founder at Eyejot before he left to become CTO at TeachStreet.com, suggested to Fred that I write about my company WhatCounts. WhatCounts was bootstrapped several years ago and was recently acquired. I agreed to accept the invitation knowing that bootstrapping is a sometimes under-appreciated funding path that startups often dismiss too quickly. Why is that? What’s the attraction for new businesses, particularly technology-focused ones, to seek VC funding? Iʼm a believer in self-funded companies. When I started WhatCounts it was seeded with $50K of my own money. It grew organically to be successful and was acquired in late 2010. With my co-founder, Brian Ratzliff, we were able to operate the company autonomously. Initially, I did all the product development and Brian orchestrated our sales and marketing programs. We jointly pursued new clients. Brian had more formal business training, including an MBA, but we both shared the same pragmatic approach to operating and growing a business. We liked the independence that came with self-funding and knew that the success, or failure, of our venture would hinge entirely upon our ability to win and keep business. Instead of VC funding we used customer funding. Our exit event was successful and the transaction benefitted the companyʼs original shareholders without any dilutive effect. 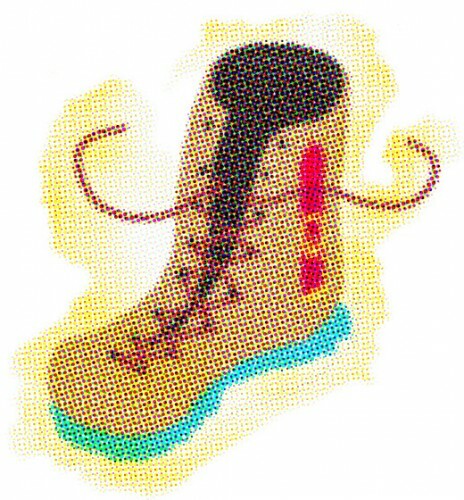 Is bootstrapping your business and funding it without outside capital a good idea? It was for us, but I have to admit that we arrived at that position more out of necessity than prescient planning. We actually tried to attract outside funding, without success, when we founded WhatCounts in 2000. A brief introduction to WhatCounts may be useful. WhatCounts developed a SaaS platform for creating, managing, deploying and analyzing mass email campaigns for transactional and marketing applications. It grew from the two of us to 50 employees and attracted clients like Costco, Alaska Airlines, Virgin America, MSNBC, FOXNews, Ziff-Davis, Pandora, REI and many other, well-known consumer-facing brands and media organizations. Many of you received emails over the years that were generated by our platform. WhatCounts became known as a technology innovator (later releasing an on-premise appliance solution to compliment the SaaS offering) and a company that did a surprisingly good job (for its size) attracting prestigious clients and providing them with exemplary service. We decided to do some informal investigating to see if WhatCounts could get VC funding. Using contacts Brian and I had established during our time working at Paul Allen’s Starwave (me running an engineering team and Brian a marketing team) and later at other startups, we setup informational interviews with a few Seattle VC firms. Not surprisingly, our few meetings failed to generate a lot of excitement. Weʼre both good communicators and present strong messages, but I suspect the VCs we visited knew that we didnʼt believe in the hockey stick growth story – for us or anyone else in our space. As cool as we thought what we were doing was (or was going to be), we also came to realize that the email industry, in the 2000-2001 time-frame, was not an overly attractive investment space for VCs. This was certainly true for pure email service providers, of which we were one. Other businesses involved in email were still garnering excitement from investors. Fred mentioned the 2002 merger between Return Path and Veripost in his Dec 6, 2010 post. He highlighted the fact that both of those firms had received VC funding. When we started we were confident weʼd be successful operating a small business but didnʼt believe we were going to turn the company into a $100 million juggernaut. We became convinced that we would not be able to grow to that level in the time horizon we believed VCs were typically interested. We also looked suspiciously at some of our competitors that were making VC-friendly (and overly optimistic) growth projections. Now, we could have retreated and tried to retool our business model and presentation materials in preparation for a new round of meetings. We could have created a more exciting story or twisted things to appeal to our potential investors. But we liked our business model. Our customers did too. We were making money! We knew that if we decided to ignore outside funding opportunities weʼd potentially be jeopardizing our chances of growing the company at an accelerated pace. But the benefits we saw and were experiencing running things ourselves seemed to out-weigh the potential value and overhead VC funding would deliver. To recap, the facts Iʼve described, so far, are the following: (1) we started a company; (2) we had some early VC meetings; (3) we didnʼt gain much traction from those meeting (admittedly we didn’tʼ try very hard); and (4) we settled back onto our original plan of utilizing a customer funded growth strategy. One of the most obvious benefits to a simplified, self-funded growth strategy is that if youʼre lucky enough to grow the business and get acquired youʼre going to gain all the benefit from that transaction without sharing it with outside investors. Calculate your ownership position and compare it with a diluted position after one round of funding. Then identify the intersection where they deliver the same benefit to you. Now consider a second round of funding and further dilution. Or a third. Of course, building simplistic models like this is for illustrative purposes only. Yet, itʼs important to know that a bigger piece of a smaller pie, at some point, is the same as a smaller piece of a much larger pie. And, donʼt let anyone tell you that baking a bigger pie isnʼt a whole lot more difficult. Self-funded businesses, by their very nature, involve fewer outsiders. So there are control benefits that can be enjoyed in their absence. Fewer outsiders dictating (or strongly suggesting) direction means that you will be able to pursue your goals more closely and with less friction. Back in 2001 Brian and I knew we had a great platform. Our customers told us so. Slowly, but surely, we started gaining traction by winning new customers. Weʼd hire additional staff whenever we had a large enough financial buffer to keep them employed even if our growth were to slow or even regress a little. Itʼs the model we had been told Microsoft had adopted early on. We both felt personally responsible for every person that trusted us and trusted our vision enough to join the firm. Many of the people that joined WhatCounts had sacrificed potentially higher salaries from larger companies to work in an environment that was smaller, people and pet friendly and somewhat more lifestyle-oriented – with the belief that we would grow. So, we tried to make sure there was always enough in the bank to cover payroll for approximately six months. We also disbursed bonuses to everyone each year. Despite our early success, we were still aware that we were a relatively small company. When new competitors began appearing we decided to consider additional sources of funding. We had about $1 million in the bank but, with an increasingly growing employee base, considered a large portion of it to be part of our special payroll reserve. That led us to apply for an SBA loan that was quickly approved and provided us with an additional $500K in the form of a line of credit. We never needed to draw on the credit line and turned it off within the first year. Throughout the years WhatCounts continued to grow. New engineers were hired. Our support and account management teams grew. New leadership for engineering, sales and customer service all helped the company to mature and appeal to larger, more sophisticated clients. The business continued to invest in our technology and the infrastructure required to support ever-increasing client expectations and requirements. Two events in 2010 proved to be important for the company. First, after operating the business for almost ten years Brian and I decided to see if we could find a buyer. We had started to see consolidation in the space and M&A activity appeared to be increasing after an almost two year lull. Second, a few weeks after inking terms with a banker we were approached, literally out of the blue, by another firm about the same size as WhatCounts asking if weʼd consider being acquired. They had the backing of a large PE firm and quickly delivered an LOI. The process that began with their first phone call and ended with their acquiring our company was complex, challenging, long and, at times, nerve racking. Next week Iʼll share some of those details with you. When you’re bootstrapping, you’ve really got to find a way to delight customers *and* to make sure they’re willing to pay. Certainly there’s little motivation that can match the sleepless nights wondering how you’re going to meet payroll if you don’t. Keeping an explicit payroll reserve is a brilliant move on many levels. “I need to raise money in order to grow quickly. If I wait for customers to fund me right now my larger competitors wake up, move faster, and take me out”. This article was originally written by David Geller and Fred Wilson on January 10, 2011 here. MBA Mondays was originally a series of “business 101” articles written by noted venture capitalist Fred Wilson that ran between 2010 and 2013. Our illustrated edition includes the first 100 or so articles, as well as the best from the comments that followed each post. More about this project and the CC licensing that made this possible.